that sounds good, even if its just a family trail, be good for my kids! The idiot log and branch layer is back.Large logs and branches across trails in parts of Blean.In an area not done before,the trail that links the bridleway going down to Harbledown,to the footpath going to Harbledown. He really irritated me, couldn't keep my mouth shut! 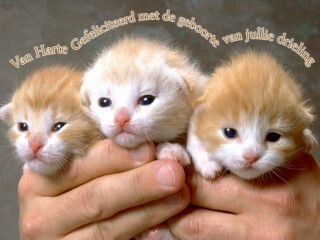 Andy, is there something we don't know (for those less fluent in Dutch, the text reads 'congratulations on the birth of your triplets')?